EV? Check. Autonomous? Check. Tiny? You have to ask? 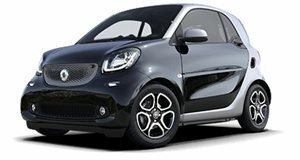 Although Smart never became a hit in the US, the brand is still going fairly strong overseas. And now it’s about to debut the so-called next generation vehicle. Meet the Smart Vision EQ concept, which will be unveiled in the flesh in Frankfurt next month. This concept, according to Smart, "provides a new vision of urban mobility and individualized, highly flexible, totally efficient local public transport." As you’ve probably already guessed, the EQ concept is an autonomous vehicle with a fully electric powertrain. It’s also not representative of a privately owned vehicle, but rather car sharing, a field Smart is quite familiar with thanks to car2go. Car2go also happens to have some 2.6 million customers worldwide, so the business model is proven. Combined with new and advanced technologies, specifically autonomous tech, the EQ concept is intended to make things even easier in the car hire field. But Smart has also added plenty of individualization options in order for users to recognize it’s "their" hired car. The most visual of these is the Black Panel at the front as well as large projection surfaces at the sides. There are also LED displays in the place of the headlights that can take on different projection shapes. Even the rear lights can take on a conventional look or provide information, such as warnings or traffic information. You also likely couldn’t help but notice the front radiator grille, which adds yet another personal touch to communicate with road users. Powering the concept is a 30 kWh lithium-ion battery. When the vehicle is not in use, by default it makes its way to a charging station. The overall exterior styling is literally a mix of a modern Smart car and a pod. It seats two and, to save interior space, the two doors pivot wing-like over the rear axle. The interior is adorned with a large screen that replaces the typical dashboard. There is no steering wheel, obviously. And so there you have it. The future of Smart cars. If you didn’t like them before, you probably still won’t, but this mobility model, and the concept’s technology, is an intriguing proposition.